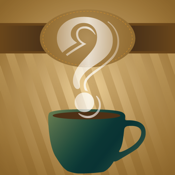 This app provides coffee drinkers a fun way to help choose their beverage. In a quirky fashion, it guides you through a coffee adventure - asking how much caffeine you want, whether you’re in the mood for a hot or cold drink, milk preference and whether you’re a chocolate lover. Then, as if it read your mind, the app will suggest a drink you may enjoy. This is an example of QA Graphics’ mobile application development capabilities. The company provides a variety of creative services for the food and restaurant industry, including mobile apps, nutritional kiosks and other digital signage needs. QA Graphics is the premier resource for a total design solution. With an in-house creative team, almost anything is possible. QA Graphics specializes in creative design services including 3D design/animation, mobile apps, touchscreen applications and other multimedia. The company is also a leading provider of HVAC graphic development services for the building automation industry and the award-winning Energy Efficiency Education Dashboard®. Learn more at www.qagraphics.com or call 515-965-3403.